Nothing sets the mood or expresses emotion quite like music. The delicate sound of the flute and harp provide exquisite music, giving an elegant touch creating the perfect atmosphere for you and your guests on your wedding day. 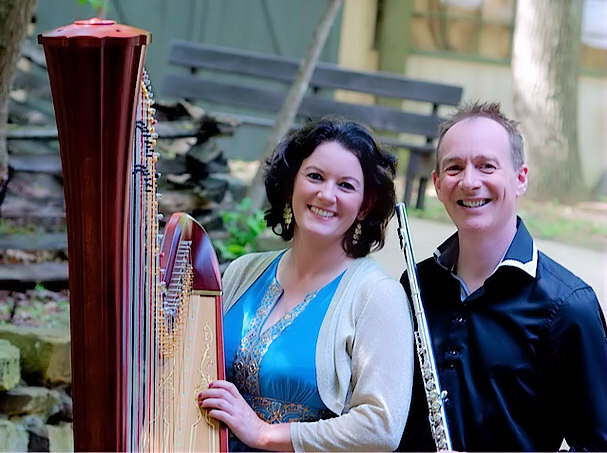 A harpist & flautist is a great way to add some classic romance to your Wedding Day. The sounds these two instruments create are both relaxing and soothing , creating great ambience and emotion within any venue. Whether you desire a traditional march or something more modern, we will help you choose music that is meaningful and memorable. To ensure your planning is stress-free, we offer unlimited consultation by phone, email or in-person. Unsure of what to select? We offer recommendations based on your preferences, or we can choose music for you. If your requested selection is not in our repertoire, we’ll track it down or custom arrange it especially for you, if possible, all at no extra charge. Post ceremony we can provide background music for your cocktail hour or reception.